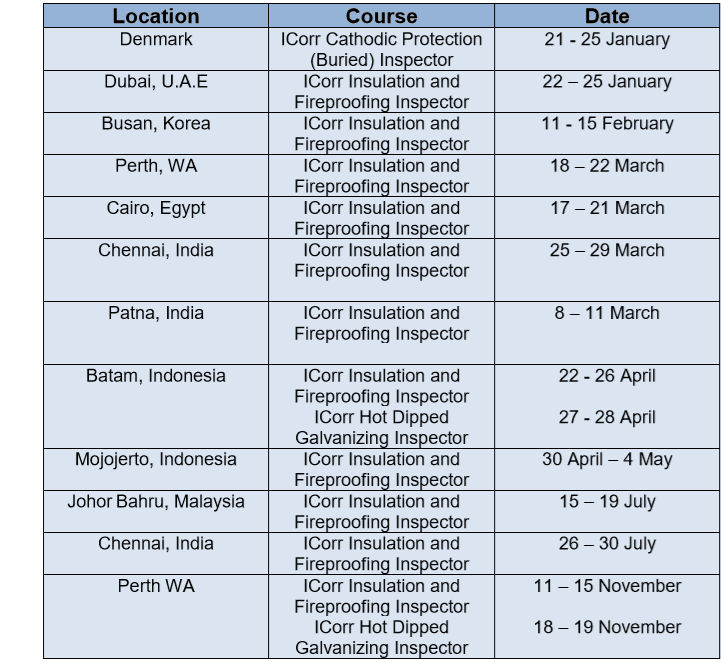 If you are interested in any of our international ICorr courses or would like to express an interest in courses being delivered in your region, please email argyllruane@imeche.org or sarah: sarah@icorrinternational.org for further information. 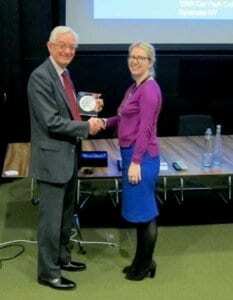 The Paul MacIntyre award 2018, has been awarded to Dr John Broomfield for his services to the corrosion protection industry by the Institute of Corrosion President Sarah Vasey at the Corrosion Engineering Division working day in Warrington. 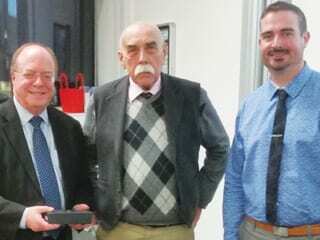 The award is presented to a senior corrosion engineer, who, as well as being a leading practitioner in their field, has advanced European collaboration and International standards development (in keeping with Paul’s areas of interest). They have established an international reputation in the field of corrosion engineering. They have demonstrably advanced European collaboration and international standards development in the field of corrosion engineering. They must be living and working in the European corrosion community. 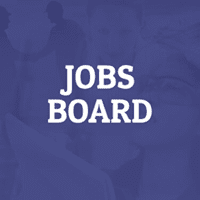 They must be a member of a corrosion related body in the European area (e.g. 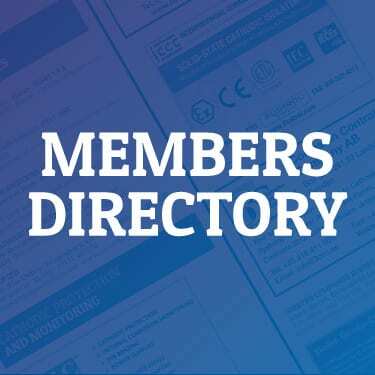 NACE UK, The Institute of Materials, or the Institute of Corrosion, or another European corrosion society). They must not be a current member of the Council of the Institute of Corrosion. They must be aged over 30. The branch kicked off 2018 with 3 well attended events with an average attendance of over 60 people, beginning with a special cathodic protection evening on the 30th of January. In the first of two presentations, Edgar Rodrigues of TAQA gave an excellent talk on “Impressed Current Cathodic Protection Retrofit Strategy in the North Sea”. TAQA’s fixed drilling and production installation was installed in the North Sea in 1980 in 161 metres water depth approximately 110 miles north-east of Lerwick in the Shetlands. The platform jacket has 8 legs and was installed with traditional stand-off galvanic anodes, but its sacrificial CP System is now beyond its original design life. Surveys from 2010 to 2013 indicated a reduction in corrosion protection from the CP system, and plans were implemented to upgrade this. 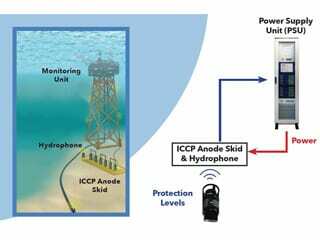 A remote impressed current CP (ICCP) anode sled system was selected, installed and commissioned in early 2016. This presentation discussed the CP design process and the many challenges in choosing what was at the time, the largest ever CP retrofit, both in terms of delivered current capacity offshore, and the CP current demand of the structure required to maintain external corrosion protection. All retrofit CP systems however require regular CP data to validate CP performance and this can often be erratic and costly to obtain, typically involving ROVs, as was discussed in the second presentation of the evening. Andy Smerdon of Aquatec Group continued the evening with a very interesting and complimentary presentation on “Retrofit CP Monitoring to Reduce Inspection Frequency”. Aquatec was founded by the current managing director in 1990 as a specialist consultancy in oceanographic instrumentation design. This presentation described a CP toolbox within a UK North Sea case study, comprising monitoring and communications modules that were used to provide high quality CP potential and CP current data sets, accessed remotely from diving vessels and platforms. 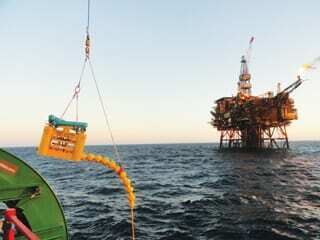 The cost of CP monitoring equipment when simultaneously installed with retrofit CP systems, is relatively low and normally recovered by dispensing with just one conventional subsea inspection campaign, in favour of remotely retrieved data. 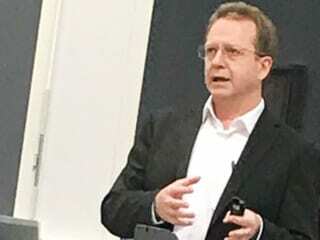 The branch’s second event in January, took place at the School of Mechanical Engineering at Aberdeen University, where a Corrosion Awareness training session was held. In the packed two hour event, there were 6 presentations covering corrosion theory and failure mechanisms, principles of corrosion management, materials and coatings selection, risk based inspection, cathodic protection, chemical and corrosion monitoring, all of which prompted a number of interesting questions from the enthusiastic audience. In recent years, ICorr Aberdeen has established a strong working relationship with the Aberdeen branch of IMECHE and in particularly its Young Engineer Panel, and a further more extensive Corrosion Awareness event will follow in August 2018, details will be announced in the May/June magazine, and on the branch website. 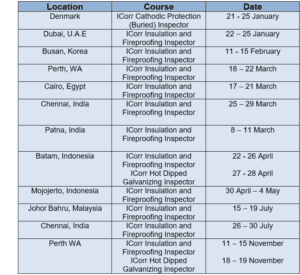 The February event focused on internal corrosion management Issues, particularly corrosion mitigation by chemical control and optimisation. A very enjoyable and informative presentation was given by Emma Perfect, CEO of LUX Assure Ltd, who described the development of an onsite technique for measuring dosage of corrosion inhibitors used in the protection of pipelines. This advanced technique was developed as there was a perceived need to identify more quickly, and more accurately, when dosing levels of inhibitor were either below or above the threshold for protection, and hence allow an operator to adjust levels to better protect equipment from corrosion, or have options to lower the dosage level to reduce costs of inhibitor supply. With access provided to suitable trial sites, the development of the technique and a suitable kit for onsite monitoring progressed over a period of 3-4 years until it was fully commercialized in 2013. LUX Assure gathered data to show operators that this technique could be used to test fluids and identify the Critical Micelle Concentration (CMC) of a surfactant above which micelle formation occurs. But the real challenge for LUX Assure was to develop a kit, (now known as CoMicTM) which operators offshore could use to sample and analyse fluids in the field in relatively uncontrolled environments without precise preparation. The specialised kit includes detection reagents and an optical analyser. Final data processing evaluation of the sample is still currently performed back at the offsite laboratory and results and advice swiftly communicated back to the field, but a full onsite service is currently being progressed. Cescor UK, an independent specialist engineering company, delivers the full spectrum of materials and corrosion engineering, cathodic protection and integrity management services to the oil, gas, renewables, petrochemical and utilities industries globally, and provides clients and partners with right-first-time, cost-effective support for all their engineering design and operational asset care requirements. Their expertise encompasses structures, jetties, marine terminals, processing, production and storage facilities, high pressure, high temperature oil and gas pipelines both onshore and subsea, and they can help clients optimise lifecycle asset performance. 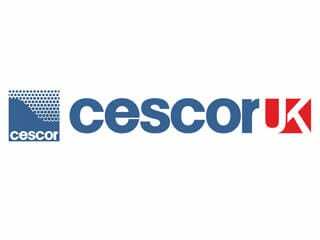 Cescor UK Limited builds on the heritage of its parent company, Cescor srl in Milan, who have an extensive project portfolio of long-standing and successful relationships developed over 25 years at the forefront of the Oil and Gas and Energy industries. As a successful, technically-focused and fully commercial business with close and enduring links to the science and research base, Cescor engineers are ideally paced to help business address the unmet needs and complex challenges associated with ensuring safe supply of the world’s energy. The February talk was on the use of Electrochemical Impedance Spectroscopy (EIS) as a predictive tool for coating lifetime, and was given by Dustin Traylor, Global Product Manager of Axalta Coatings Systems. This was an excellent presentation which produced significant discussion amongst those attending. The concept was to raise awareness of new predictive modelling techniques for coating life and performance. A new generation of high temperature coatings, in particular high glass transition temperature Fusion Bonded Epoxy (with a Tg of 205 C), are being developed as a lower cost alternative to expensive alloy steels. However, the highly-functional epoxy resin and ingredients in these new coatings can make interpretation of testing results difficult for coating specifiers. Dustin explored the benefits of using EIS after atmospheric testing to assess a coating’s life expectancy. The conclusion was that EIS did have a part to play in conjunction with accelerated weathering, Autoclave and Atlas Cell tests, to assist in the determination of expected coating life. This technique has now been adopted by Aramco and Chevron and is gaining credibility as a useful tool in the pipeline market. The branch AGM was held ahead of the March evening technical meeting, at which David Mobbs (Chair) delivered a short presentation on the achievements of the branch over the past year, including confirming that the move to Imperial College had increased attendance from 20-30 to 40-50 per meeting, and that our finances were good. He outlined the steps being taken to obtain speakers to present new technology, new ideas and having more technical content, and noted that the membership affiliated to the branch amounts to 45% of Institute members, and 22 members qualified for 20 or 30 years long service pins. He finished by thanking everyone for their support, and the speakers and committee members who give up their time voluntarily to make it all work. of storage tanks. The industry is well versed with non-intrusive inspection of vessels and pipework, but corrosion mapping of storage tanks has always relied on man entry and physical base plate inspection. However, the industry does not like working in confined spaces and there are moves towards zero-man entry over the lifetime of storage and process vessels. Mark explained that tank inspection plays a major role in effective integrity management of storage tanks, which historically has relied on emptying the tank and personnel entry for cleaning and inspection, and that the common method of using Magnetic Flux Leakage testing is not necessarily the most effective method of determining metal loss. Sonomatic have developed a range of methods for inspection of these tanks while in-service, which includes the use of traditional shell wall inspection using crawlers, coupled with a new technology to determine metal loss of the tank shell using multi skip technology deployed around the outer chine of the tank. The key element of this testing programme is the use of robotic cleaning and inspection of the floor – the tool is dropped through the tank fluids to the floor and remotely guided by use of sonar. Firstly the level of sludge is determined, and then the tool removes this and scans the base plates, the results of which are transmitted to a mobile unit outside the tank where a statistical analysis is carried out. The presentation included a case study of a field application. This was an excellent presentation and there was a high level of discussion around the floor. The chairman’s opinion was that the real value of this testing procedure was that it was an ‘iterative process’, whereby a tank farm operator could screen all the tanks and identify which were detected as the worst. On opening the tank and carrying out full base plate inspection it would be possible to check the model to see how accurate it was, and by the time the third tank had completed its full inspection, the model would be pretty accurate, and could be used in future with more certainly.